When I think of the summer, I think of tons of fresh fruit, lots of sunshine and heat and sitting on the back deck sipping on some delicious lemonade. 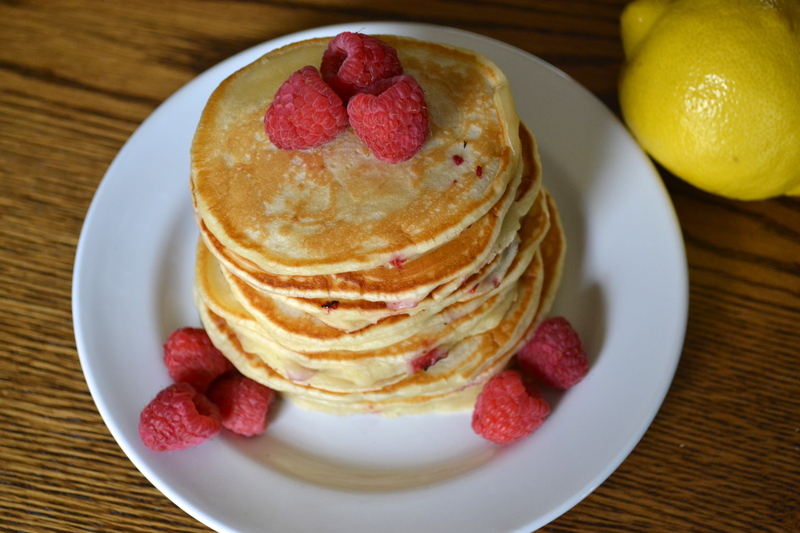 So I thought, why not make a summer-themed pancake recipe?! 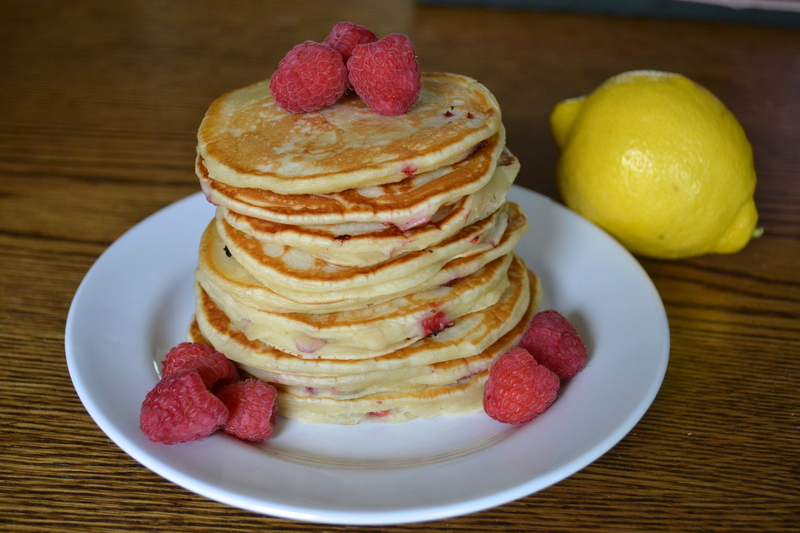 Introducing the raspberry lemonade pancakes! Why not incorporate a favourite summertime beverage into a breakfast meal? The more summer themed food, the better I say! In a large bowl, add all of the ingredients except the raspberries together. Mix the batter together until smooth and clump free. In a large pan over medium heat, add a little vegan butter or coconut oil to coat the pan. Once the pan has reached the right heat, pour pancake batter by the tablespoon onto the pan. Add a couple tablespoons of batter per pancake, but you can make them as big or a small as you want. 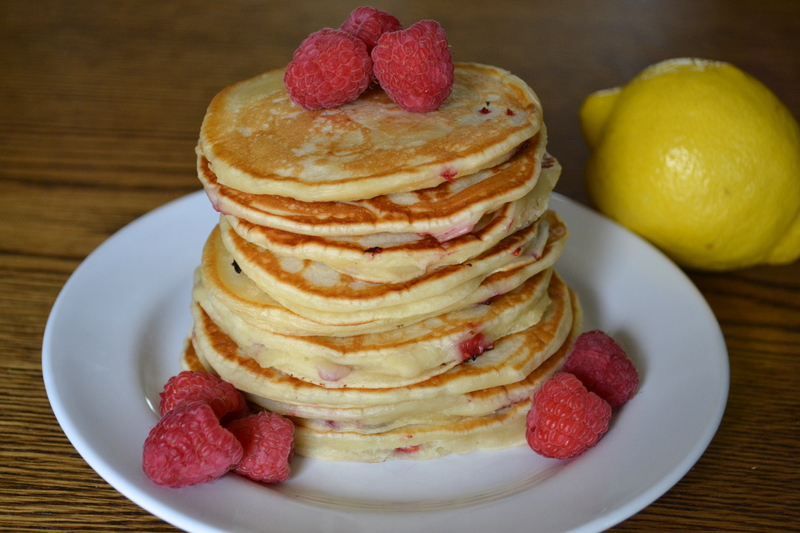 Once the pancakes are on the pan break up the raspberries and sprinkle them onto the pancakes while they are cooking. 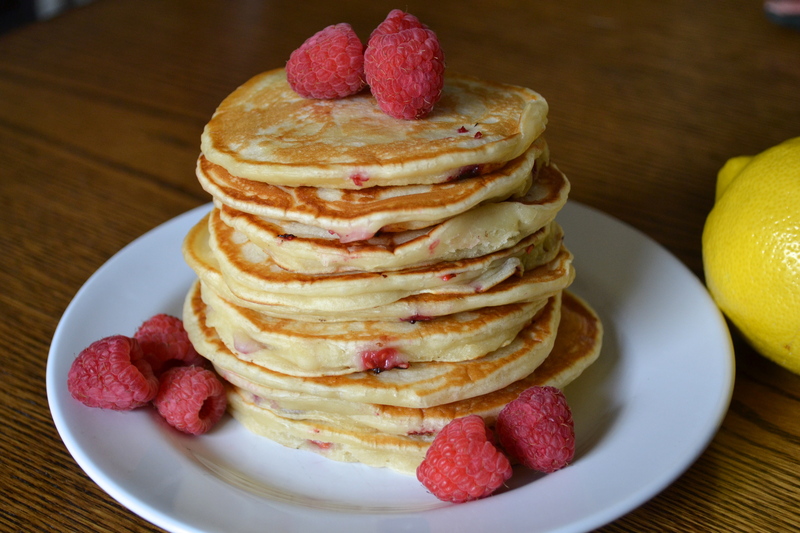 Cook pancakes for 2-4 minutes on each side, but make sure you keep an eye on the pancakes to ensure they don’t burn! Once fully cooked, remove from pan and plate immediately.